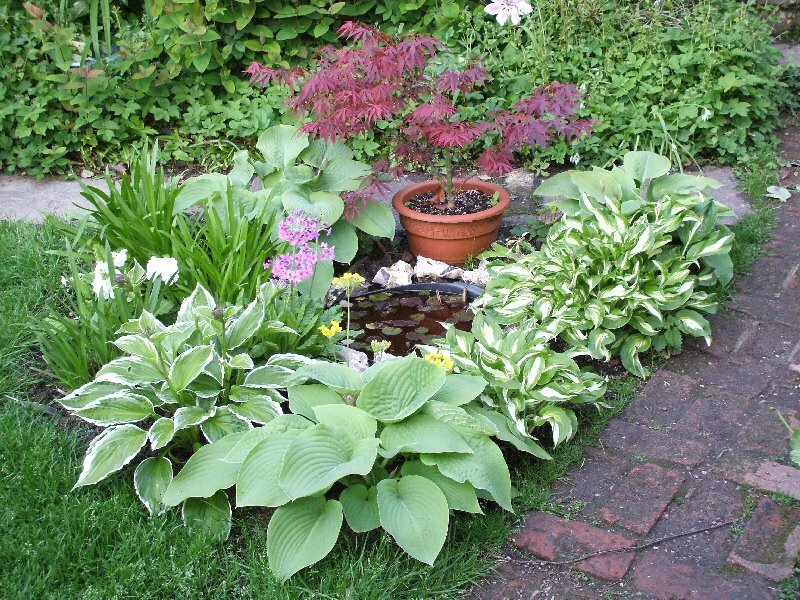 I love hostas even though it is such a battle to protect their leaves from slugs and snails. They are so rewarding and good to divide and make new plants. This photo is of the bed in my first photo posted some years ago. Some cheeky person used my photo for advertising some garden design - he could at least have credited to my blog. It is surprising how often you find your work elsewhere when doing a Google search. All the variegated Hosta are ones I have been given divided from other plants and then I have divided again and again. All the green Hosta are grown from seed from my Dad's Sieboldii, it surprises me how varied in size and colour - green/grey they grew.